Valentine’s Day is almost upon us, which means a full day of celebrating love in its many forms with hearts, candies, and plenty of mushy songs. But we are even MORE excited about Galentine’s Day, which falls on February 13. Galentine’s Day was bestowed upon us by Leslie Knope, Amy Poehler’s character in Parks and Recreation—it’s on Netflix if you haven’t already seen it—and according to her, it’s the best day of the year: “Ladies celebrating ladies. It’s like Lilith Fair, minus the angst. Plus frittatas.” Umm, sounds amazing. 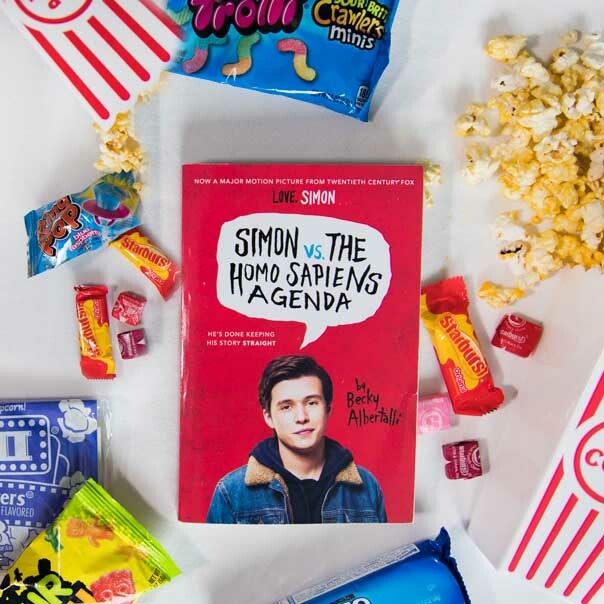 Really, it’s about celebrating all kinds of friendship, and TBH we could all use a little more of that in our lives so we paired our favorite Leslie Knope quotes with the perfect YA book to get you pumped for Galentine’s Day 2019. It’s their senior year of high school, and each Friday night, BFFs Delia and Josie assume their alter egos and become hosts of their local cable creature show, Midnite Matinee. But as the year draws to a close, both girls face big decisions about what to do after they graduate. Will Josie stay with their show if it becomes a hit, or will she leave for a big university? For as long as she can remember, no one has taken the time to look past Libby Strout’s weight and get to know her for who she is. Once dubbed “America’s Fattest Teen,” Libby is trying to deal with her mother’s tragic death, learning to cope with her own grief and her father’s sorrow. She’s about to start high school, and she’s about to meet Jack Masselin, the “cool guy” who seemingly has everything but struggles with a secret: he can’t recognize people’s faces. The two end up in group counseling together and form an unexpected bond. They help each other realize who they really are. Sometimes we just need our friends to tell us that everything is going to be okay—especially in the aftermath of tragedy. In this heartbreaking story, tragedy strikes three teens in different ways. Despite the odds, one band’s music will reunite them and prove that after grief, beauty thrives in the people left behind. Text your BFF and get some tissues ready for this one! 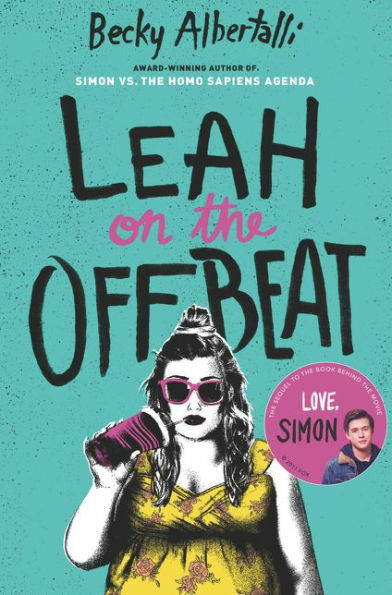 Leah Burke—a badass drummer and Simon Spier’s best friend (you know him from the amazing movie Love, Simon)—takes center stage in this novel about friendship, first love, and angst. When it comes to drumming, Leah Burke is usually on beat—but real life isn’t always so rhythmic. Leah doesn’t know what to do when her rock-solid friend group starts to fracture in unexpected ways. With prom and college on the horizon, tensions are running high. It’s hard for Leah to strike the right note while the people she loves are fighting—especially when she realizes she might love one of them more than she ever intended. When an unlikely friendship is sparked between relatively popular Kit Lowell and socially isolated David Drucker, everyone is surprised, most of all Kit and David. Kit appreciates David’s blunt honesty—in fact, she finds it refreshing. David welcomes Kit’s attention and her inquisitive nature. When she asks for his help figuring out the how and why of her dad’s tragic car accident, David is all in. But neither of them can predict what they’ll find. This is a story of finding strength and friendship when you really need it most. It will make you laugh and cry and call your bestie immediately after reading it. 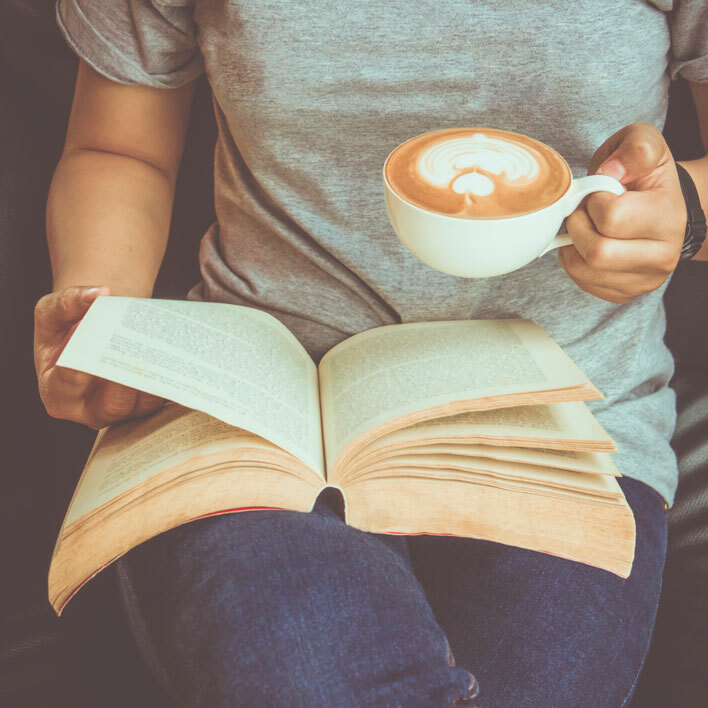 What are you reading for Galentine's Day? Tell us in the comments below!